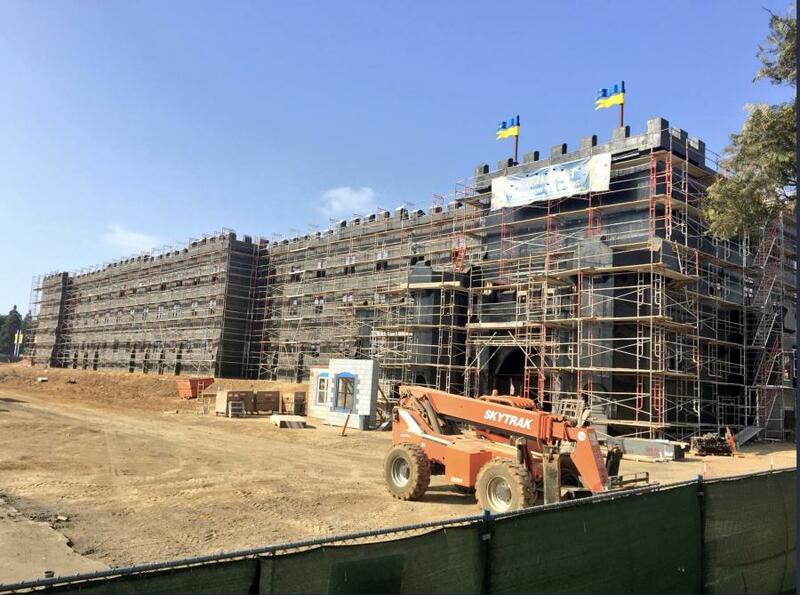 A construction crew versed in Lego is building a life-size castle that will serve as a new and much-needed second hotel at the popular Legoland California theme park in Carlsbad. 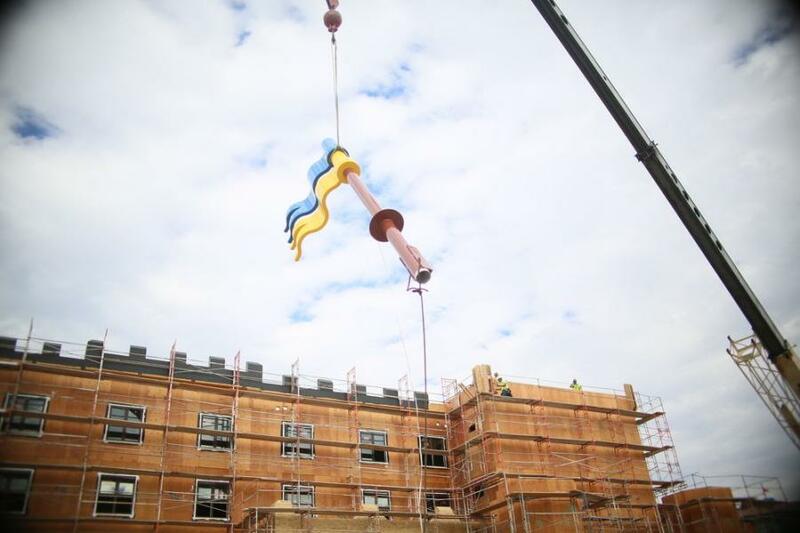 The crew began work in January of 2017 and moving into winter, Legoland's three-story Castle Hotel with its blue and yellow rooftop pennant flags has quickly taken shape. Planners expect to open the hotel in spring of 2018. Built to resemble a finished Lego project, Castle Hotel will feature on duty castle princesses, knights and witches. It is North America's first Legoland Castle Hotel. 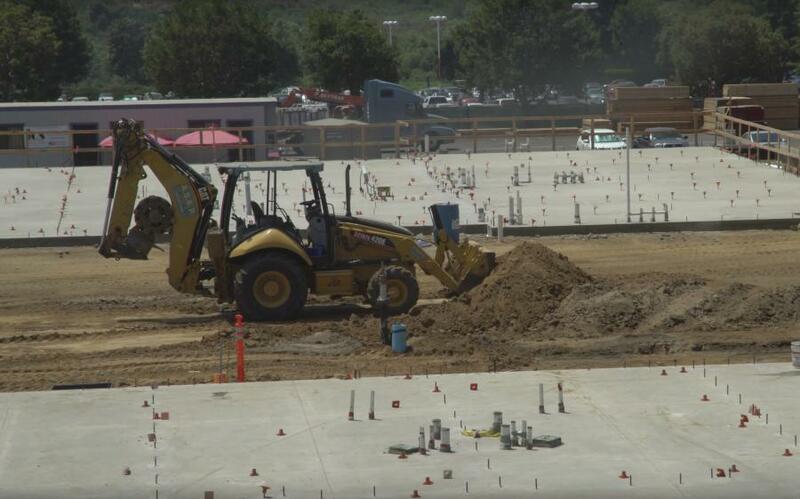 The family adventure-oriented hotel will feature a restaurant, giftshop and swimming pool. Lego built its toy empire on colorful interlocking plastic bricks accompanying an array of gears and figurines called mini-figures. Lego pieces can be assembled and connected in many ways, to construct small-scale vehicles, buildings and working robots. The full-scale Castle Hotel will highlight what can be done with Lego kits. The 250-room building with its Medieval towers, appears to be built from a huge pile of Lego blocks. Building a Lego-like hotel is a costly venture. As a matter of policy, Legoland owner, London-based Merlin Entertainment Group, opts not to disclose the cost of its Legoland hotels. But company officials reported that the newest hotel project is the most expensive project since the park opened in 1999. Stantec, based in Edmonton, Canada, served as architect for the new hotel. Stantec describes itself as a firm with designers, engineers, scientists and project managers, innovating together at the intersection of community, creativity and client relationships. 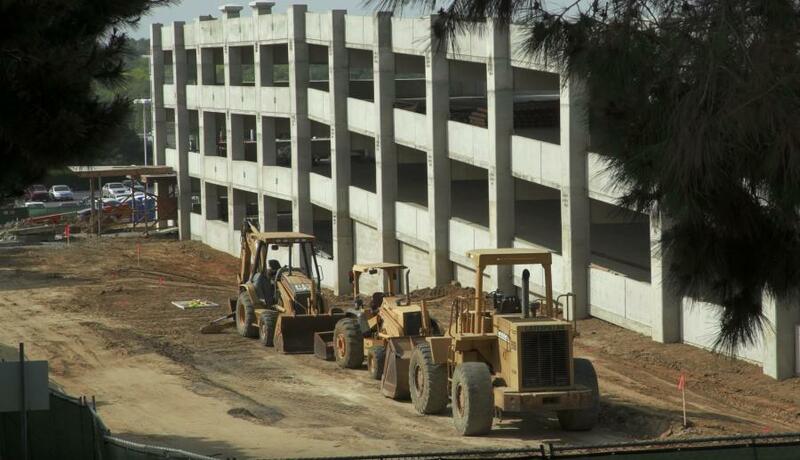 Hoffman Planning & Engineering of Carlsbad provided the civil engineering design for the project. Professional Management Advisors Associates of Fort Lauderdale, Fla., provides external project management support to Merlin's Magic Making, and PCL Construction of Denver, Colo., is construction contractor. On average, about 160 workers are on duty at the Castle Hotel construction site. Exterior work has topped out with all external beams in place and walls up. Construction has now moved to the interior. Painting is a big part of the interior work. Painters will create fantasy with multiple hues, including royal purples, throughout the colorful hotel interior. The hotel is designed with a U-shaped floor plan around a central courtyard that features outdoor amenities and an outdoor dining patio for the hotel's restaurant. The hotel's lobby level includes the main entry grand hall, registration desk, luggage room, office, elevators and hallways totaling about 4,472 sq. ft. The main first floor includes 57 rooms and six suites, the restaurant and kitchen. The second floor covers about 45,000 sq. ft. and includes 85 rooms and seven suites. The third floor features 88 rooms and seven suites within about 46,000 sq. ft. Exterior work includes stuccoing walls in various shades of grey. The walls are articulated with a belt course between the first and second floors as well as periodic buttresses and projecting tower features that break up the façade. A belt course, also called a string course or sill course, is a continuous row or layer of stones or brick set in a wall. Set in line with window sills, it helps to make the horizontal line of the sills visually more prominent. Each of the towers has pennant flags that emphasize the castle theme. Equipment at the project site initially included bulldozers, delivery trucks, concrete trucks, man lifts, water trucks and cranes. Both steel and wood beams went into the structure of the hotel. 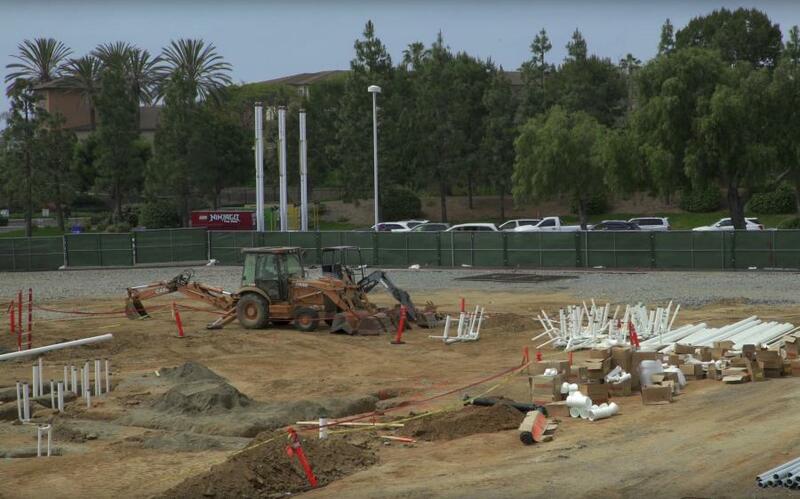 Situated near the entrance to Legoland's 128-acre Carlsbad theme park, it will be the park's second hotel. Success of the first hotel led to plans for a second one. 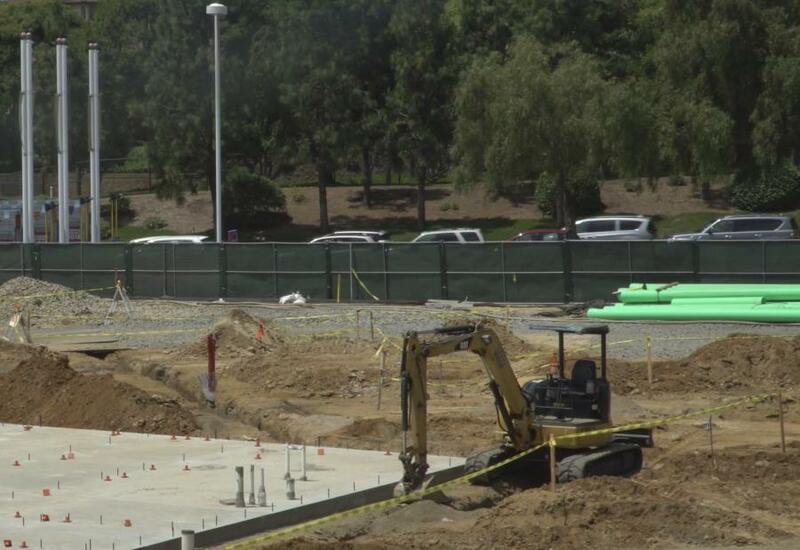 The first Legoland California hotel opened about four years ago. It has 250 rooms, features a Lego brick theme and utilizes fabricated custom scaled replica bricks on the exterior. The castle hotel's interior will encompass 145,000 sq. ft. and all the rooms are Lego-themed. Castle Hotel is being built west of the Legoland Hotel and the park entrance. Legoland planners believe that Legoland California Resort has enough attractions to justify more than a one-day stay. And now guests will have another hotel option if they decide to stay over. “Legoland California Resort is a multi-day destination geared for families with children ages 2 to12 years old,” said Jake Gonzalez, Legoland California media relations representative. He added that with major attractions like Lego Movie 4D, a New Adventure, and Ninjago World now open, demand for hotel accommodations has grown significantly since the first Legoland California hotel opened in 2013. Although the Castle Hotel will look like it was built from Lego blocks, building materials are mostly typical of hotel projects. The hotel is built primarily from timber frame. However, a lot of creative work kicks in after the walls and roof are up. The walls are constructed on site as opposed to being brought in and erected. “Decorative elements are being applied in a variety of different ways,” Gonzalez said. Some wall elements are being built in with framing and some are being applied after initial walls are installed. Asked how challenging it is to build a hotel that resembles a Lego castle project, Gonzalez responded that adhering to the scalable requirements of Lego bricks while providing all the details is vital to making the hotel unique. “We welcome these challenges because we know that these are the elements that make this a one of a kind hotel in the U.S.,” he said. The new hotel is being built near visiting guests, so safety is a primary consideration. That means minimizing noise and dust while maximizing safety protocol. A plan was developed to ensure the safety while minimizing noise and dust, Gonzalez said. Guests were kept away from the hotel project being built behind a tall fence. Legoland California opened in 1999 and is one of two Legoland theme parks in the United States. The other is near Orlando, Fla. The new Castle Hotel's themed rooms will emphasize the value and fun of building with Lego products. It will completely immerse guests in a castle experience from the minute they enter the grand hall, to dining at a “royal” restaurant to engaging in courtyard entertainment by the pool. Upon entering Legoland Castle Hotel, guests will first step into the grand hall where they are met by a Lego wizard before taking a magical levitating lift (by elevator) that will take them to one of three different floors where adventures await. Along with the wizard, guests will be greeted by staff dressed as princesses, princes and witches. In the Knight rooms, hotel guests will be surrounded by dragons and knights as they prepare to go to battle to defend the king's castle and protect his treasure. In the princess rooms, woodland animals like butterflies, squirrels, owls and song birds, all made of Lego, will be found. In the Wizard rooms, guests will discover how magic is used to protect the king's treasure with the use of giggling potions and spells. Other unique features of the hotel will include a slide in the lobby for kids; Lego building stations in each children's sleeping area; interactive play elements in the expansive courtyard; interactive water play features by the pool; entertainment by Legoland characters; the Legoland retail store; a separate park entrance only for hotel guests; and Lego models themed specifically to each room type. The Castle Hotel project is considered a step up from the existing hotel in terms of the breadth of its theming, rooms and interactions with the costumed staff.